Children are a blessing and a gift from the Lord. Amen! 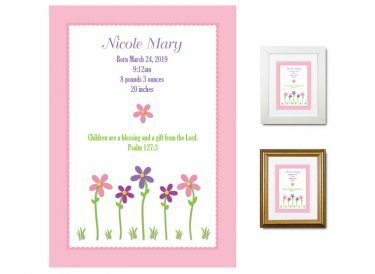 Whimsical nursery art featuring this lovely Scripture verse is a wonderful way to commemorate baby's birth! Personalized with baby's name and birth stats - date and time of birth, weight, and length - it makes a great gift.